Greetings Greyhawk enthusiasts! It's almost the end of another Common Year, and my esteemed colleague, Joe Bloch over at Greyhawk Grognard has come through with his best Baklunish article yet! Lately he has been updating the western Baklunish lands and pantheons in the spirit of Gary Gygax's 80's era Dragon magazine columns. Now the pages of "Dragonne" magazine takes us Beyond the Flanaess to catalogue the lesser known nations of the Baklunish West that until now have only been referenced in brief over the decades. In addition there is information on geographical areas such as the Gulf of Ghayar: Tyurzi Mountains, Rumikadath River and the Verdured Heights. Mr. Bloch further enhances this guide by adding random encounter tables for these regions just as they are featured in the original Flanaess Glossography. Also, what good World of Greyhawk guide wouldn't be complete without a Darlene inspired map of this entire Beyond the Flanaess region? Joe had mapped the entire world of Oerth in this style years ago. I imagine he will keep working outward now cataloguing the regions just like in this well-written article. Download this now. It's a MUST HAVE. It's a Needfest miracle, Greyhawk fans! Thanks to my friends, particularly W.K. Nolen, the fan hosting site Greyhawk Online has been given a shot of life and a modern front page upgrade. Greyhawk Online was created as a sister site to Canonfire! 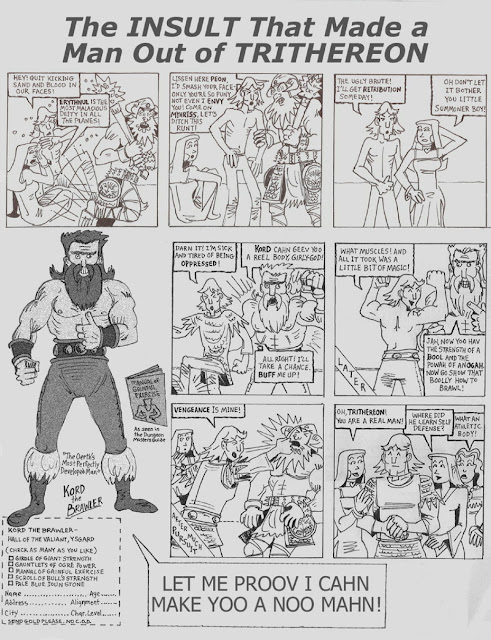 to host pages for creative Greyhawk fans, such as Grodog's Greyhawk and my own World of Greyhawk comic strip that ran on GHO from 2005 to 2009 until I migrated over to Maldin's Greyhawk until 2011. Speaking of which, coincidentally the full run of 325 Greyhawk comics is now available on Maldin's Greyhawk and will eventually be updated on Greyhawk Online when time permits. Old fans and new alike can revisit these familiar websites like mine, and perhaps even have their own creative content hosted (join the Greyhawk Wiki) or linked here to share with the rest of the Greyhawk community (see recent additions like the Greyhawk Channel and various blogs). So for Gygax's sake, check out GREYHAWK ONLINE now, you won't be disappointed. First, I am happy to say thank you to my Legends & Lore co-host Anna Meyer for a successful season on the Greyhawk Channel. We really killed it, averaging 20-30 repeat viewers per show. I made some new friends already through this show and even had great guest-hosts like Joe Bloch from Greyhawk Grognard. Wonderful! 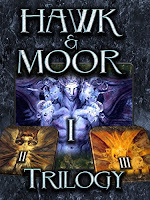 Second, I'd like to thank my friend Scott H for giving me a copy of Hawk & Moor (trilogy 1) by Kent David Kelly. 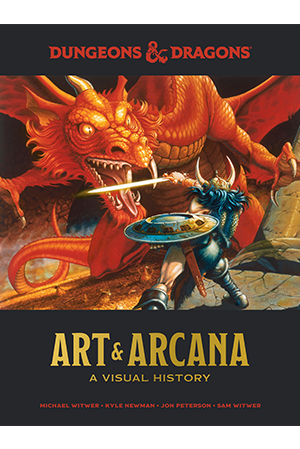 I never heard of this series, but its an amazing study into the life and history of Gary Gygax and Dave Arneson. Dry biographical reading material for a young audience, but for an old grognard like me, the Greyhawk references and origins are eye-popping. I can't wait to see more. Third, gotta give a Needfest thank you card to DMShane for producing the Greyhawk Channel. The number of shows he now hosts keeps outpacing my blog, but my appreciation goes well beyond that to the community that's rallied around it I the form of a vibrant Discord group for subscribers (see the bottom of the page in the Twitch link above). He is even taking it to IRL as well, with a planned GenCon 2019 meet-up unlike any before. I wish I knew for certain if I were going. Gotta give a fourth thank you card to the old-schoolers who are really building the community back up in other media. Bryan Blumklotz is a driving force with the Canonfire! Facebook group and I'm happy to see not only my old comic strip re-released, but also Bryan's heraldry back in the limelight. Then there is Greyhawk Online being resurrected by W.K. Nolen. Keep checking back for updates for Greyhawk content on this website! A fifth Needfest card goes to Lord Gosumba for bringing his quite ancient 1E/2E Knights of Ulek campaign to the present day on Twitch. I'm sure he will be a big name in the community for years to come. I'd like to thank Wizards with a sixth Needfest card for putting out Art & Arcana by Michael Witwer, Sam Witwer, Kyle, Newman and Jon Peterson (and Joe Manganiello). I've never been hyped about a coffee table book like this before. It pushes all my nostalgia buttons at the same time. I actually want the deluxe copy, that's how much I like this book. I highly recommend this work of art history. Finally I'd like to give my last Needfest card to Scott Casper, for the Castle Greyhawk comic. For those who still haven't seen our effort, Scott wrote a fully-realized, well-grounded story set in the early Gygaxian Greyhawk setting. There is nothing else like this in Greyhawk fandom. It was a joy illustrating the adventures of Tenser, Yrag and Robilar. Now coming to an end in 2019, the final chapter will come with some bonus material for our loyal readers. Cold Iron Avail You, Greyhawk fans! It's fast approaching that time of year, yes that's right, Needfest. Today I'm going to do an easy, fun post to coincide with my show with Anna Meyer on the Greyhawk Channel, Legends & Lore. If you haven't seen the show, we sit around and riff on all things Greyhawk from maps to modules. Today's theme since it's winter is "cold places" in the Flanaess. You'd be surprised how many there is and these are just the ones I remember off the top of my head. Let's run down the list, enjoy! Cold Marshes: This vast swamp, even more vast than the one called the Vast Swamp, just happens to be in the cold north, separating the boggy land of Blackmoor from well, everything else. This place is naturally known for the dangerous mists within and if stories are true, lost treasures. What's fun about the Cold Marshes is the denizens here: ice toads, ice trolls, hyena-men, bear-men, and the best, Frost-Men. These humanoids resemble regular humans, except they have icy skin and their left eye shoots a cone of frost. Now that's what I call an icy glare! Icy Sea: This vast sea to the north of the Flanaess is normally frozen except during the late summer months. It has everything a seafaring barbarian could want; seals eating fish, walruses eating seals, whales eating walruses and a leviathan lord eating the whales! Watch those titanic floating islands of ice, they are hard to spot in the fog. Side thought, does the Land of Black Ice produce black icebergs? Land of Black Ice: Speaking of which, there is no region more hostile to visit than this place. Okay, maybe the Sea of Dust. Alright, maybe the Sea of Dust and Rift Canyon. Okay alright, Sea of Dust, Rift Canyon or the Vast Swamp. At any rate, the Land of Black Ice is a glacial expanse of unknown origin and explanation. Dangerous arctic monsters lurk here including the ubiquitous blue bugbear. This is a land of natural hazards and also a land of mysteries. There is a warm hidden valley, a City of the Gods and even ancient ice-buried automatons (see Raiders of the Black Ice in Dungeon #115). DMs, there is plenty of room to create stuff here if you can talk your players into braving the black ice. Cold Run: This chilly tributary is found in the northern Flanaess (of course) starting somewhere south of the Wastes and cutting through the ominous Fellreev forest where it eventually meets up with the much bigger and more traveled Artonsamay River. What is there to say about this waterway? No really, I'm asking, because I've never used the Cold Run in my games. Never mind, found it. According to the Living Greyhawk Gazetteer, the Cold Run has eels and pike. I'm willing to bet where dangerous fish are found, there is also giant eels and giant pike. And where there is giant fish I'd wager there is giant fishermen too! That's the best I got. Wintershiven: The capital of the Theocracy of the Pale. This city of 39,000 isn't particularly a nice place to live. It is said winters in the Pale are harsh and unforgiving like its people. Locals say there is two "seasons" here, the unbearable winter and the barely bearable "summer". Interestingly this city was burnt to the ground once and rebuilt again before the Pale eventually earned independence to be religiously oppressive. What else is there to say about Wintershiven? Well it's run by the bureaucratic church of Pholtus. Because of this, there is really no reason to travel to Wintershiven, unless you are a zealot as well. DMs you will have to crafty to talk heroes into coming here, preferably in the summer. Coldwood: Not far from Wintershiven to the south, is an area within the Adri Forest called Coldwood. 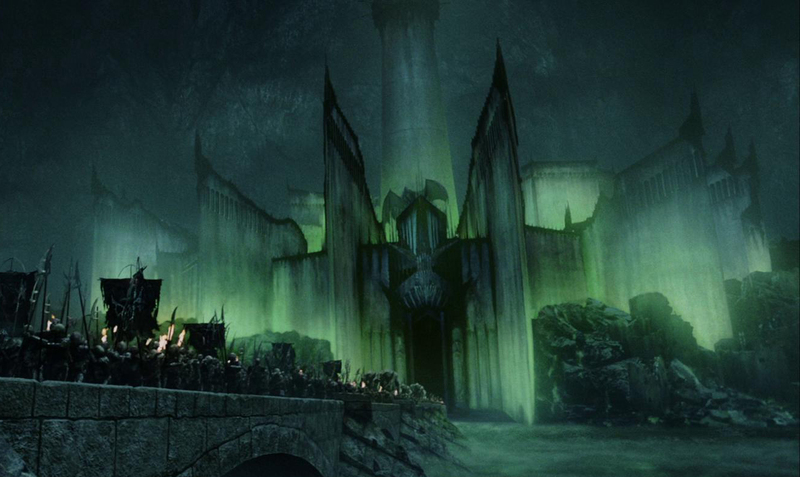 This place used to be the ancient elven City of Summer Stars before its prince, Darnakurian went mad and slaughtered everything with a magic sword called Hunger. Now a cursed chill hangs over the remains of this forest ruin and stoic elven guardians remain in place to prevent anyone from entering or leaving. If that isn't tempting to your players I don't know what is! DMs you can read more about the Coldwood and Hunger in the unpublished Ivid the Undying, free to download on the interwebs. Enjoy! Hanging Glacier of Alisedran: Probably the strangest of the cold places on the list, the Hanging Glacier can be found in From the Ashes. It tells a tale of an explorer named Alisedran who was deep in barbarian territory for some reason within the Corusk Mountains (ahem, hex J-16 to be exact). What the mad man described was a glacier that drops off a cliff and shatters into a sheet of ice shards, falling down in slow motion like a massive "feather fall" spell was cast on it. The ice shards has many strange properties according to the story, evidently ranging from alchemy to summoning and breathing underwater. Whatever the case, this glacial area is definitely not a smart place for adventurers to locate, unless their goal is fighting ice monsters then it's an XP gold mine. Snow, Ice, Frost Barbarians: The Thillonrian peninsula is home to three ancient Suel tribes that migrated here a millennia ago. Known in the common tongue as snow, frost and ice, they are respectively called Schnai, Fruzti and Cruski in the barbarian dialect called the Cold Tongue. I won't go into much more detail, they are a viking-esque culture who can be encountered in most of the "cold" locations covered in this post. Icehand Plain: Last but not least. First featured in the excellent book, Iuz the Evil, this place is usually just an empty camp off the Road of Skulls 364 days of the year. It's true importance is that on the last day of Sunsebb each year, Iuz holds a massive pep rally for all his chiefs, warlords and high priests. During this rally, Iuz manifests a giant floating hand of black ice that points to each leader as he judges their loyalty. If they displease the Old One, then they are blasted into dust! In my opinion, this is all a ruse to scare his evil henchmen. Maybe one hapless creature gets killed to make an example, but I bet it's all predetermined. He is the god of deceit after all. 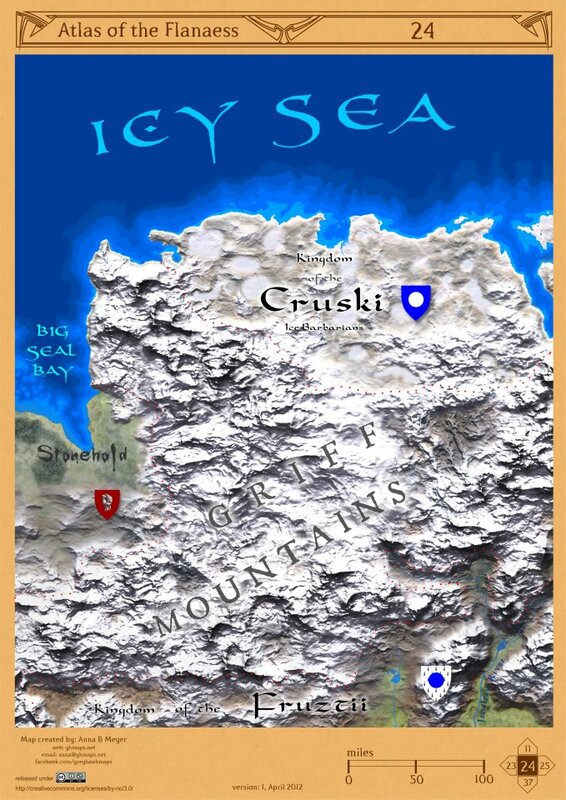 At any rate, real of not, the Icehand Plain rally is a devilish place to have players stumble upon if the DM wants them to realllllly be intimidated, or if the players want to wipe out the entire core of the Empire of Iuz in one fell swoop. Whichever. Good luck heroes! Be a part of RPG history. casl Entertainment specialises in creating memorable and unique role-playing game experiences. Ranging from self-contained adventures and character concepts to customized modules and even entire campaign settings, casl Entertainment provides compelling and engaging game materials for RPG enthusiasts around the world. casl Entertainment is me: carlos a.s. lising. What it represents is something for which I've been preparing my entire life. As a boy of eight years old, I was drawn in by the spell Gary Gygax wove for a generation of dreamers. 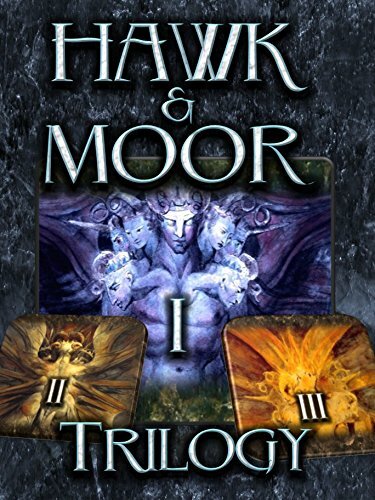 In the World of Greyhawk, he painted the skies of my imagination with the vibrant colors of his descriptive text...and in the process, set in motion a revolution of thought within me. Since that fateful day when I first set eyes upon a twenty-sided die for the first time, role-playing games have consumed me. In the myriad forms of tabletops and online play, intimate campaigns and convention games, I've immersed myself in the hobby however I've been able. All that time, it was always my aspiration to – one day, perhaps – follow in the footsteps of the heroes whose names I saw on the spines of the books I so prized. Kuntz. Mentzer. Ward. Gygax. I wanted to create pieces, love letters to the game I so adored and the men and women that so inspired me, that would demonstrate the profound impact they had had on my life, and stand the test of time alongside that which they had created. As you read this, that moment has come. With your patronage, you can help me achieve that dream. I can write those majestic stories in which I echo my heroes. I can help Game Masters and Players weave tales of triumph and torment that will become the stuff of legend, that will live on long after the last light above the gaming table has been dimmed for the night. And one day, if we're lucky, an 8 year old kid in Chicago might read our work and catch a mote of starlight in their eyes. The words you help me create will become a brushstroke in the masterpiece mosaic that is their imagination. In that way, we can become a part of RPG history together. Not only does Carlos write amazing old school modules set in the World of Greyhawk, he's also a veteran convention DM with an enthusiasm for his original works like no one I've ever seen. Indeed, we've played together more than a few times now at Garycon. Join his Patreon and support a fellow creator and Greyhawk fan. You can also follow Carlos and casl Entertainment on Facebook. Enjoy! Greetings again fans of Greyhawk. Today I'm revisiting a fun feature on Greyhawkery: Let's Fight...(insert deity name). If you haven't seen my previous installments involving Istus, the Lady of Fate and Ulaa the Stonewife, then click the links and catch up. This time we will be facing off against a "lesser" deity named Trithereon the Summoner, god of individuality, liberty, self-protection and retribution. The premise is like this, back in the days of AD&D, it was entirely possible for PCs to take on gods. The 1E Deities & Demigods is loaded with stats and rules on the powers of these beings. This template carried over to the early Greyhawk products and articles thus giving the DM an option if divine wrath ever needed to be carried out. These gods were damn tough but not impossible to kill. Hit points capped out at 400, AC never went higher than -10 (AC 30 by today's rules) and most had very high magic resistances. Now let's examine how foolish it is to attack the god who can summon aid! Trithereon is a chaotic good champion of the oppressed who seeks to end those who deny life or freedom. So by now, your characters should be apologizing to him if he ever appears, because he is the one usually doing the hunting. 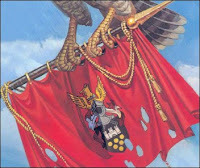 Despite popular lore, Trithereon like many deities and demigods does tread upon Oerth (Guide to the World of Greyhawk). He appears as a young man with red-gold hair wearing violet garb and golden chainmail (AC -4). Yes, it's hard to mistake Trithereon. 1. His spear is called the Harbinger of Doom. It is a +7 spear. Plus. Seven. This weapon is from an edition where +5 weapons were the pinnacle. What's more, Trithereon can throw this spear and it returns to him in the same round. 2. His broadsword is called Freedom's Tongue. This weapon is +6. That's right, Trithereon has two epic, artifact level weapons that can probably break your favorite +5 vorpal sword in half. What's worse, Freedom's Tongue causes fear in a 30-foot radius to all his opponents. That means you. Nemoud the Hound, an iron jawed dog that hunts as a 20th level ranger and can never be surprised. You can't hide and you can't ambush them. Harrus the Falcon, a huge bird with the sharpest vision ever. Distance is no factor to this group. Ca'rolk the Sea Lizard, a 40-foot long crocodilian monster whose main skill is capsizing vessels. Yes, water is no escape from Trithereon. Astral Deva, genius intelligence, swinging +3 maces and armed with an array of magic abilities like invisibility, dispel magic and curing wounds. They are able to travel the astral and lower planes with ease. Monadic Deva, slightly less genius, similar powers, carrying +2 metal rods and able to move through ethereal and elemental planes like it's no big deal. Movanic Deva, still very smart, also with magic powers and use +1 flaming swords. This guy is most commonly found among mortals. So there you have it, a melee unlike any your players have ever seen. A deity armed to the teeth, three animal companions and three very smart angels versus a party of out-matched, out-maneuvered mortals. Best idea is to lay down your arms and face Trithereon's judgement. Crazy to say that, but it’s the truth. Most of our community is made up of new friends - new to me and new to one another. But reality is that just one year ago, we’d only aired one show. And only a few of you were there to watch it live. There was no Greyhawk Channel - just a small group of friends taking the risk to share their regular Sunday night game. One year later… we’ve had more than 100 people play on the channel, nearly 20 different DMs, and have streamed more than 700 hours in the process. And @everyone thats super cool. But waaaaay more cool is that there’s now a community of people who hang out together - supporting each other, foodporning together, sharing snacks and alcohol and crude humor together. Its a big group of good friends. And this is something none of us had a year ago. Its something we all built together. I’m a blessed man. But this year one of my greatest blessings is something I didn’t expect, didn’t plan, didn’t see coming. Its you. All of you. This year, I’m thankful as hell for every one of you who help me look forward to every morning. You have made The Greyhawk Channel home. A home I deeply love. This was year one. I promise you all another year of adventure, laughter, and friendship. Who’s with me?" Anna Meyer for the unparalleled Atlas of the Flanaess. Dave Guerreri and staff running 5E Greyhawk Reborn. Joseph Bloch for his foresight and the long-running Greyhawk Grognard. Scott Casper for co-producing the Castle Greyhawk Comic with me as artist. The Greyhawk faithful on the forums for Canonfire, Dragonsfoot and the Piazza. Denis Tetreault for maps, lore and hosting my old comics at Melkot. My friends Carlos Lising and Allan Grohe for running and producing wonderful professionally made Greyhawk games at conventions like Garycon. 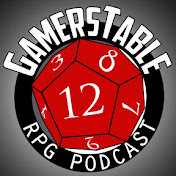 Of course, my game own group for the Gamerstable podcast and putting up with my Greyhawk obsession. The amazing Facebook groups, Sages of Greyhawk, Flanaess Geographical Society and also Canonfire a Greyhawk Resource for re-releasing my old comics to a new audience. Lord Gosumba for keeping the old school alive on new media. Return to the Bandit Kingdoms for being there with the streaming Greyhawk fandom. Bards of Greyhawk for doing what no one else is doing in D&D fandom. Original music. And to so many other creators of Greyhawk content and online entertainment that I can't recall you all, Happy Thanksgiving all and let's have a great CY 2019. 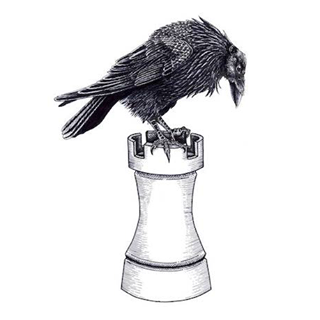 "Lost Laboratory of Kwalish explores an alternate expedition into the Barrier Peaks. The legendary inventor disappeared in the peaks eons ago… as it turns out, finding a crashed planar ship and studying its technology to fuel his own experiments—only now, Kwalish’s lost research is desperately needed! In addition, we were honored to include some content designed with Laurence Withey in this adventure. We hope the material presented brings his character – the wizard Galder – to D&D tables around the world. For more on Galder, please visit the article on comicbook.com." Fans of Greyhawk and the classic Expedition to the Barrier Peaks may be quite interested in this new module. It is very light on Greyhawk lore, namedropping stuff like Barrier Peaks, White Plume Mountain and the crashed "planar" ship, but given its adaptability to any campaign this is not surprising or unwarranted. What is nice about it beyond the two very unique adventure locations is the extras like the maps, art, trinket charts, new magic, NPCs and particularly the d100 chart for random Barrier Peak rumors generated by fan response on the D&D website (mine didn't get picked, boo). Also, the new development and revelations of who Kwalish (of apparatus fame) is and what he has done is quite satisfying top me. Buy this adventure, it's a welcome addition to Greyhawk collectors and its for a good cause! Sad news today Greyhawkers. First and foremost is the passing of the man, Stan Lee at age 95. No link is needed here, his death was immediately felt around the world. As a fan of all things Marvel, especially the Mighty Thor, I am saddened. I will miss his charming voice and his funny cameos in movies. It gives me a warm feeling to know all the characters he created or co-created are now house-hold names anywhere on the planet. That is a man whose legacy is secure. RIP Stan, Excelsior! In lesser news, but by no means less unimportant to me or the Greyhawk community is the passing of Carl Sargent. For those who don't know who he is, let's just say he developed the World of Greyhawk during 2nd edition in ways no one else could. As fast as Carl appeared on the D&D scene and ushered Greyhawk through devastating wars and its aftermath, he was GONE. Carl left the RPG industry and as far as I know, never returned or felt he needed to during the RPG resurgence started by Wizards of the Coast. Now not everyone likes "Sargent-hawk" but it is in my opinion second only to Gygax in importance. Sargent merely took the frame work of wars that Gygax had already assembled and pursued them to their most logical conclusion. What Carl brought extra was this "grimdark" tone to Greyhawk that was surely an import from his days working on Warhammer. Another thing, it's a travesty that to this day there is no official print version of Ivid the Undying, a masterpiece of world-building, involving the Great Kingdom. People who struggled to differentiate between Greyhawk and Forgotten Realms or Dragonlance fantasy need only read Ivid or any other book with Carl Sargent's name on it. Thank you Carl, for your prolific work! Greeting Greyhawk fanatics. Today I'm going to take a wild stab at an esoteric topic I bet no one except perhaps Gary Gygax, Anne Brown and Lance Hawvermale have ever pondered: how many Rhennee are there in the Flanaess? Before I get into my boring research, a few caveats, one, I'm no expert on demographics. There is many D&D fans who have done way more in this department than me. Two, I'm only going to count the barge-folk Rhennee, not their land-born cousins, the ill-named Attloi. Lastly, I'm pulling together sources from a few disparate editions here, to arrive at an interesting conclusion. None of this fantastical population crunching should diminish your love of the Rhennee, instead I hope it enhances by making DMs and players take notice of this human ethnicity and give them a try in the future. Enjoy! According to Gygax, in the Glossography, the Rhennee resemble Oeridians except they have darker, curlier hair and are shorter on average. They are wiry and strong and claim to have come to the Flanaess accidentally from a legendary homeland called Rhop. While their ancestors rode horses and lived in wagons, modern Rhennee culturally took to living in barges on the waters of the Nyr Dyv and its surrounding rivers by necessity of being immigrants in a hostile world. Each Rhennee barge is home to a family averaging 33 people. The break down in the Glossography is as such: 1 chief, 2-4 guard, 13-24 "folk", 1-2 "advisors", 7-12 children and 1 "wise woman" (called Veth in 3rd Edition). Accordingly a barge inhabited by a Rhennee noble has a maximum compliment on his home barge, or 45 people. In the Living Greyhawk Journal #2 article, The Way of the Lake by Lance Hawvermale, (buy it on DMsGuild) he writes that there are about 100 Rhennee nobles and roughly 5000 Rhennee total population. I postulate that this amount is low given what information is available from prior sources. 100 Nobles consisting of a family of 45 would already arrive our number of Rhenn-folk at 4500. Since there are clearly "common" Rhennee people who rally around these nobles in groups of 12-16 barges, the number must be higher! Again taking averages, each Rhennee lord has about 13 common barges in his fleet. If each has an average family size of 33 as per Gygax's lists, then one noble family totals 574 Rhennee. And if we max out the over-all nobility of Rhennee at 100, then that easily gives us 57,400 Rhennee on the waters, or eleven times Hawvermale's initial estimate. Even with just 50 Rhennee nobles, the totals are impressive enough at 28,700. Take your pick of how many nobles there may be in the Flanaess. "When needed, Rhennee steal young children to fill their ranks. Stolen children are raised as and become "natural" Rhennee. Similarly, outsiders who do some great service for the Rhennee are taken into the folk and sometimes accorded great status." So yes, Rhennee are a culture, not a human bloodline necessarily. Players looking for an exotic background for their characters could theoretically make a Rhennee raised or adopted from virtually any playable race from tieflings to halflings. According to Anne Brown in the Players Guide to Greyhawk (2E) the legendary Rhopans came in wagons to the Adri Forest and migrated west in CY 150. So, if we use the base timeline of Living Greyhawk CY 591, the Rhennee have been on Oerth for only about 440 years. That means depending on your source, 5000 to 57,000+ Rhennee exist after four and a half centuries of roaming the Flanaess (not counting Attloi). Now I'm no expert on Middle Ages style demographics, but either a small band of Rhennee accidentally rode into this world and prospered, or much like the Suel fleeing the Rain of Colorless Fire, they came en masse possibly through a magic gate or across a Fading Land as they are often found in this setting. Despite my argument for more Rhennee, the inclination that there are 5000 or fewer is a good one. After all, why would 57,000 Rhennee need to stick to the waters, when they could just overwhelm and settle a place like the City of Greyhawk (that does have a Rhennee population) with nearly the same population. They could just as easily take over a lesser coastal town in the Bandit Kingdoms or anywhere with that kind of numbers. So, either the Rhennee don't have the numbers to establish their own domain, or their nobles choose to stay on the waters and hide their numbers to seem neither too weak nor too powerful. Well DMs, the decision is yours, I've made the case for both population levels. In summary, use Rhennee! They make helpful guides, traders, bards, fortune-tellers, villains and even heroes. Happy Halloween, Greyhawk creatures! Today I feel in the mood to highlight some evil undead from the World of Greyhawk setting, specifically vampires. Undead run rampant in Greyhawk. It's full of death knights, liches, animi and so on. What Greyhawk has a surprising lack of is vampires. That is to say named vampires. Of course there are obvious ones from lore such as Drelnza, daughter of Iggwilv from Lost Caverns of Tsojcanth or Kas the Terrible former lieutenant of Vecna. Did they sire lesser vampires or are they loners? Who knows? In popular fiction and other games we are used to seeing numerous vampire clans and how they interact. In Greyhawk for the most part, the vampires who about are indeed loners or servants of more powerful non-vampiric beings. To show you what I mean, here is a selection of canonical Greyhawk vampires you may or may not know. This list is by no means exhaustive and I apologize if any are spoilers. Enjoy. Who does he serve? His mistress the succubus Silussa. What's his job? Master of bats and rats. Bodyguard? Who does he serve? The vampire-god Zotzilaha. What's his job? Master of Outsiders and sleeping. Who does he serve? The demigod Iuz. What's his job? Boneheart member and governor of Grabford. What's his job? House Cranden ruler of Blacksplinter. What's his job? Aspiring warlord, ruler of Nightworld. Who does he serve? The wizard Keraptis. What's his job? Cursed to guard treasure. Who do they serve? Two of these former druids serve the third druid. No spoilers. What's their job? Wandering and druid stuff. Okay, that last trio is rather different than the standard Dracula trope vampires before them, but being druids they are likely going to remain neutral hermits anyhow. That's all for now. To sum up, yes there are many vampires in Greyhawk, and in positions of great power; just not any kind of organized vampire families or bloodlines of note. Maybe that's a good thing. Greetings, denizens of Greyhawk! In time for Halloween, I bring you a feature that I haven't done since 2014: 7 More Spooky Greyhawk Locations! If you haven't seen the last list, check it out here. 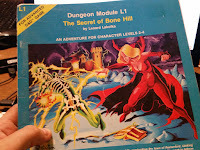 As before, I'm not covering the too-popular Tomb of Horrors. It's scary yes, but the secret is kind of out by now. Death traps. Great Green Face. Demi-lich, etc. No, I aim to show DMs that Greyhawk has many eerie places to set a spooky-night's adventure. Enjoy! Crypt of Lyzandred the Mad: This 2nd Edition Greyhawk module is actually part two of the forgettable "Lost Modules" series (Star Cairns and Doomgrinder). Written by the capable Greyhawk scribe Sean K. Reynolds, the only thing scary about this module is the dozens of puzzles you'll have to solve to get through it. By the time you find the namesake mad lich of the crypt, you'll have wished your character was dying in the Tomb of Horrors instead. This is not to say the module isn't redeemable. If you have players who are indeed above murder hobo-style play, then give them a taste of Lyzandred. You have been warned! Icespire: Not happy with the previous review? "Let it go." Instead I present a place of environmental and mental danger. This keep in the South Province sits on the rocky coast of Dunhead Bay and once served as a light house for vessels until one doomed day in 565 CY. Stories suggest the mage in charge of running the beacon was interested in forbidden lore he allegedly discovered in caves below the keep. Whatever he discovered, the effects were instant and deadly, as the keep and the all the land around for several miles were permanently changed into a frozen wasteland. The Herzog of the South Province sent men to investigate and only two returned, and both of them were driven insane. Even attempts to scry resulted in madness. The lands of Icespire, as it became known, is perpetually cold; so cold in fact, that normal protection does not suffice. In the spring and autumn months, storms rushing in from the Sea of Gearnat make travel along the peninsula of Icespire is impossible even for the most well equipped expedition. Introduced in Ivid the Undying, this giant ice-blue shard overlooking the coast gives DMs and players a fun combo of problem-solving and investigating an eldritch horror. Is it a cursed artifact? A trapped god or elemental prince? A gate to another Plane? If so what creatures now lurk in the frozen wastes? Good luck finding out hardy heroes. "Danger lurks in the Lendore Isles. Bands of evil creatures prowl the hills overlooking the town of Restenford, seeking unwary victims. Now you have come to the sleepy little village looking for adventure and excitement. You seek to fathom he unexplored reaches of Bone Hill and unlock the mysteries of Restenford." 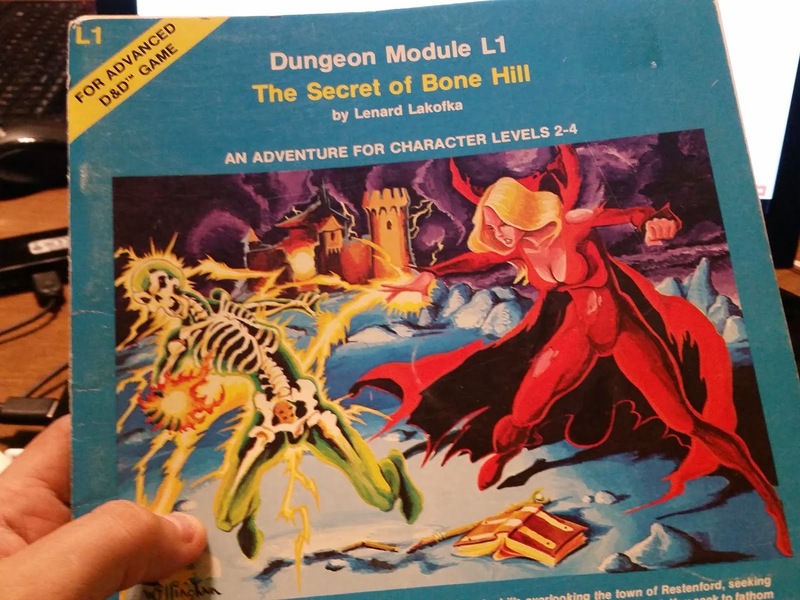 I have personally never played the Secret of Bone Hill, and I only recently acquired it, but I do intend to run it someday. I dare you to as well! Bronzeblood Haunt: The good Kingdom of Furyondy is not spooky is it? Well, no, because most of the dangers here come from outside its borders (namely Iuz or the Horned Society). There is one notable exception however; the ruins of a castle referred to as Bronzeblood Haunt. As the tale goes, there was once a sadistic nobleman who consorted with things like evil cults and vampires. Naturally, matters got so out of hand in this fief that the king had the guy deposed and his castle was razed to the ground. Even after this overthrow, the entire area was left with an overwhelming aura of evil. The land is noted for eerie mists and unnaturally blood-red bronzewood trees during autumn. So far, no knight or hero has dared to explore the cursed dungeons of this ruin. Oh yeah, did I mention the crazed noble was never caught? Bronzeblood Haunt is featured in the 2E accessory The Marklands. This location gives a DM a chance to place a custom dungeon-crawl within a stable kingdom and not be overshadowed by any published modules nearby. Happy hunting! Fleichshriver: Within the dominated Bandit Lands is a foul citadel called Fleichshriver (translated, flesh penance?) consisting of bent towers, barbed walls and gargoylian decorations. Featured in the accessory Iuz the Evil, this is a garrison for Iuz's forces as well as a ghoulish laboratory for Boneheart members Halga, Jumper and Null. If there is a unique evil spell or cursed magic item created in this empire, Fleichshriver is where it originated. Jumper experiments with shadow magic and Halga dabbles in the negative material plane in this castle. Worse yet, reports say Fleichshriver has a gate to the Abyss itself where demons are summoned forth to serve the Old One. There is few places in the north more dangerous to venture into than citadel Fleichshriver. High level adventurers take note. To vanquish Iuz and his lieutenants, this fell place may have to be brought down first. Good luck! The Dead House: Labelled T5 in your City of Greyhawk boxed set; in the 591 CY supplement, Greyhawk, the Adventure Begins. The Dead House was formerly Madame Serena's Fortunetelling. Venerable Madame Serena was of course one of those legitimate seers who had way too many cats and no one in her will. Rumors in the city, mainly from beggars who tried to sleep here, say that Madame Serena's ghost (or something) haunts this house. They hear stuff moving and voices talking. Priests have even investigated, but have found nothing to exorcise. This is a good location for DMs to pit their players in the iconic movie trope of staying the night in a haunted house. Is Serena's ghost harmful or helpful? Is it a poltergeist or something worse? Oh, and what hidden treasures did the fortune teller leave behind?